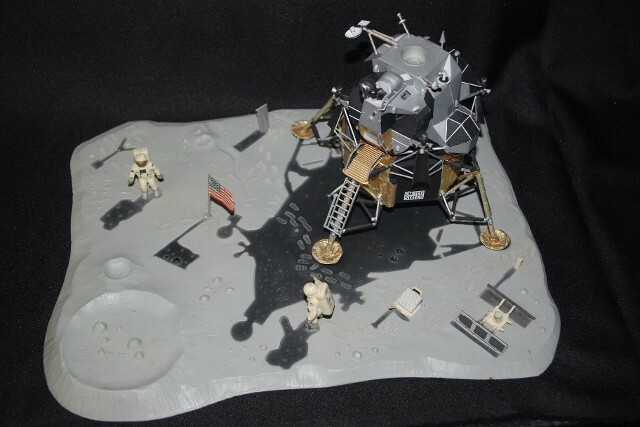 1/48 scale Monogram "First Lunar Landing"
This is the older of the two First Lunar Landing kits I've built. 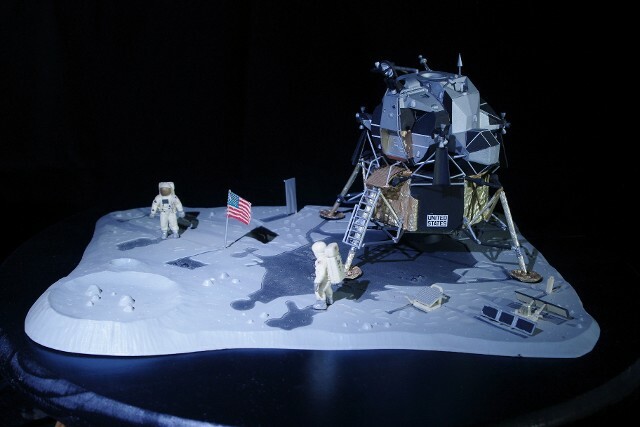 It tries to reflect the look of the Apollo 11 Landing Site, as the model was intended. 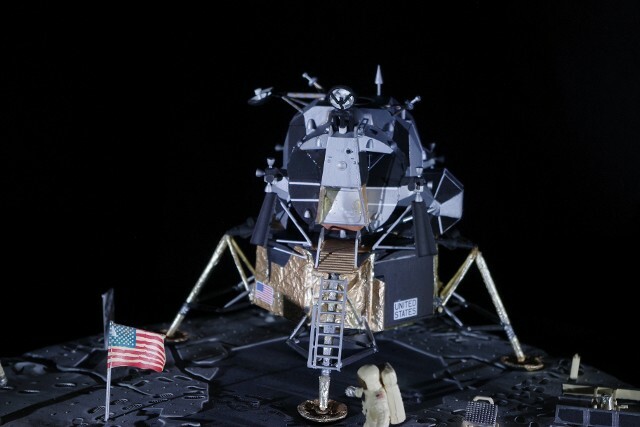 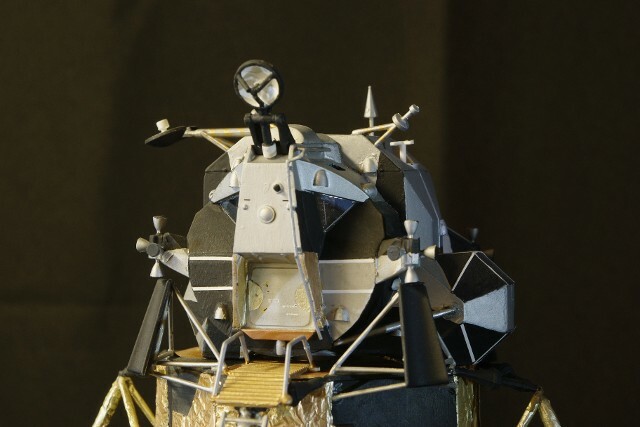 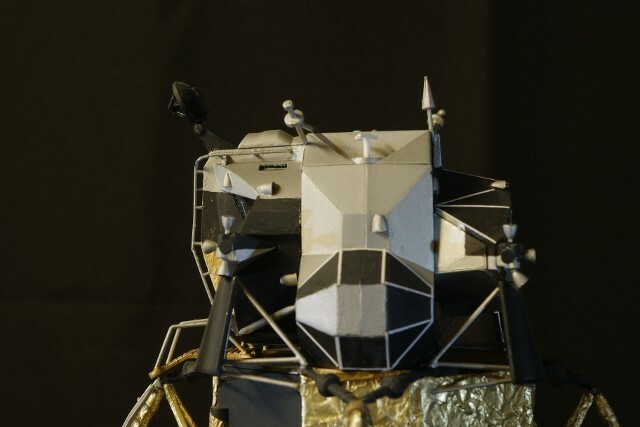 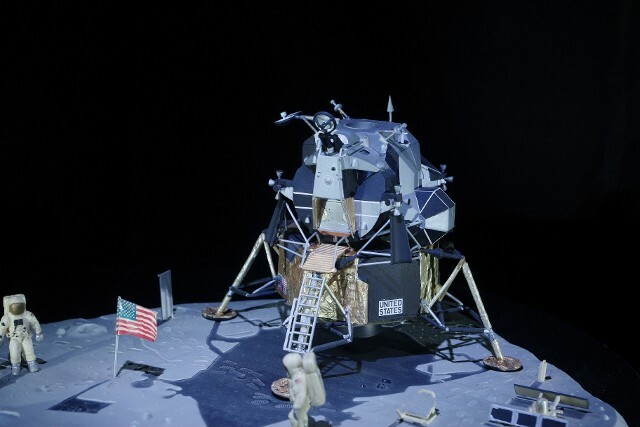 The surface experiments and the astronaut figures show the age more than the Lunar Module does, as the LM was recently re-visited in order to improve the detail level. 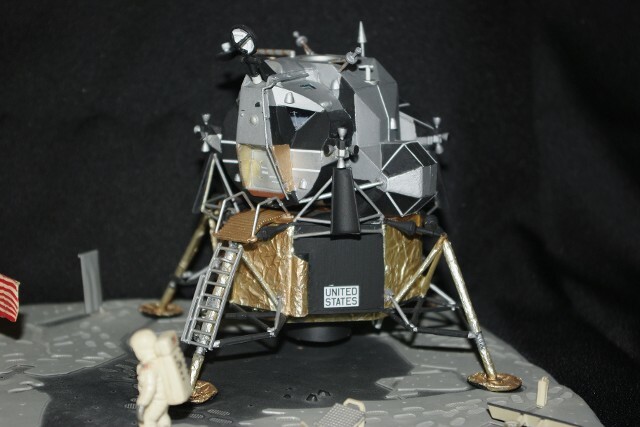 Even though New Ware does produce a detail kit for the 1/48 scale LM, I did not use it and made all of the vent covers and other elements from surplus parts and scrap plastic materials. 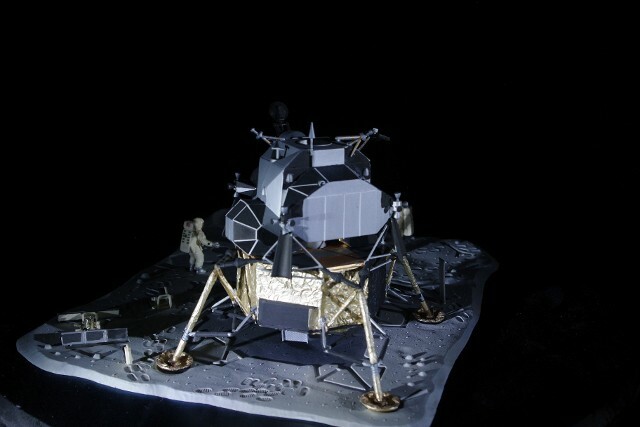 The rendezvous window was added using the SMS detail set, and the docking target was revised and many of the SMS detail decals were applied. 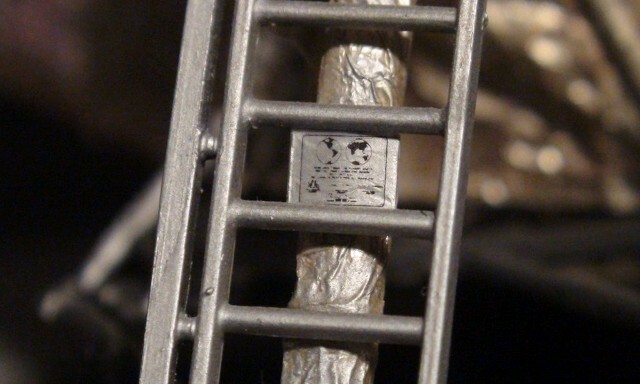 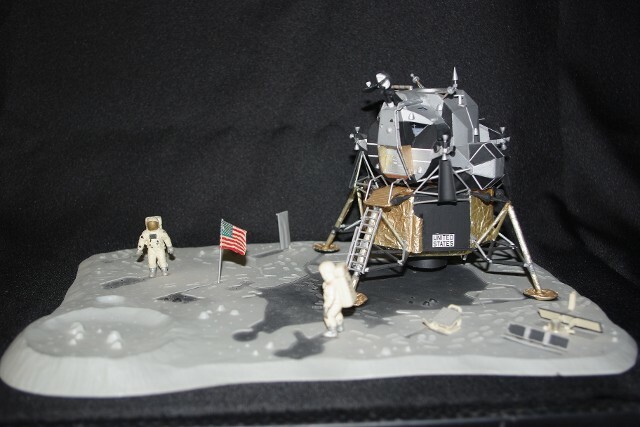 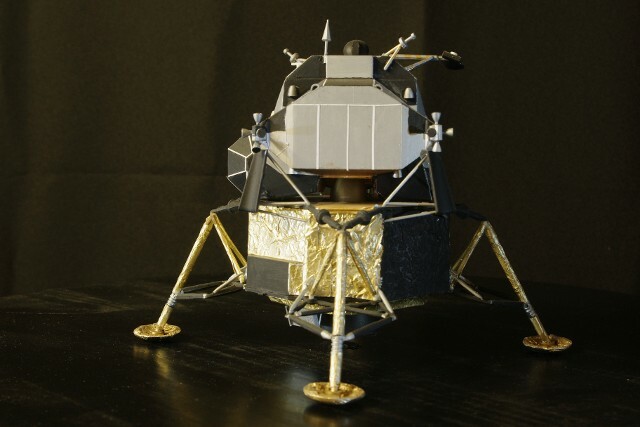 The LM decals were the 1/48 scale Space Modeling Systems LM super detail set, and accurate for LM-5 (Apollo 11), including the plaque on the front landing leg of the LM.